Why do I keep flying around the world? It is my fourth time. People ask me – why? Another question follows – will find it in you to finish? The answer to the second question is a direct consequence of the first. I fly around the world to get out of my comfort zone. $100 hamburgers can be fun and I will happily take my 172 for a short flight any time. By now I know every island in the Pacific Northwest. That is nice, but not challenging. Neither are airliners. Even with difficult approaches, it all comes down to several sceneries I own and like to visit. And I visit them. And again… The madness of flying around the world motivates me to do something out of the ordinary. Will I go through with this flight? Start to finish? I do not know! 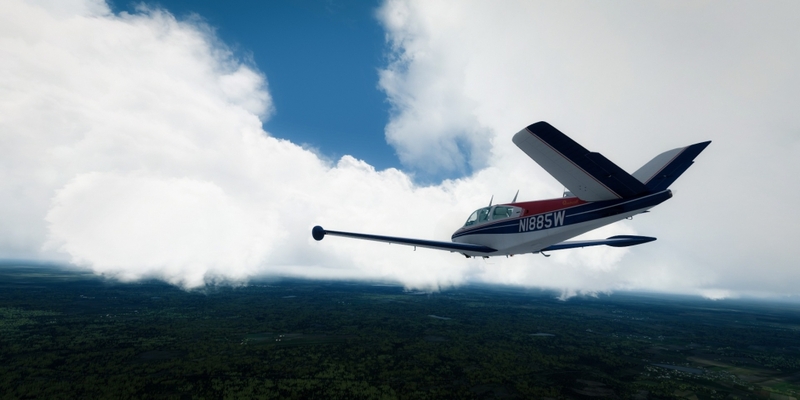 Of my four RTW flights, I finished two – flying Beech Baron in default FSX without GPS. East to West on the first try, and via the polar route on the second. Then I flew P-47 (A2A) eastwards. No payware sceneries, no autopilot, no navigation equipment (Detrola is no help without historical radio ranges). I reached Nepal flying from Poland. It is not important whether I finished this flight. But I learned a lot, and that is important. Westwards. From Poland, over Denmark, Norway, Iceland, Greenland. Then along the North American coastline towards Texas. From Texas to California and following Pacific coast to Alaska and Aleutian Islands. Ok – that is sufficient for now. I am sure there will be changes. It is a beautiful day in Warsaw and my brand new Bonanza N1885W passed inspection a moment ago. It is time load all the stuff I will need for this flight – 70 kilograms of luggage (including survival equipment and a life raft for two). I wish A2A would allow replacing passengers with cargo – I would pack more. For my first flight, I planned a scenic route along the Vistula river from Warsaw to Płock. Once out of Warsaw TMA airspace bounds, I climbed to a better cruise altitude flying direct GRU VOR. Over Grudziądz (GRU) I activated my IFR flight plan. First, it was ok, but as I was closer to DAR VOR clouds rose in front of me. Not exactly sure if I want to fly through towering cumulus and afraid of icing I chose lower altitude, and later even lower. Then the weather reports from Bornholm deteriorated. Not that they were any good in the first place. Dense fog descended on the airport and the visibility dropped to 900 meters. That and a thick blanket of clouds over the Baltic coastline made me realize that maybe (just maybe) it was not the best idea to fly this single-engine plane over the icy sea? 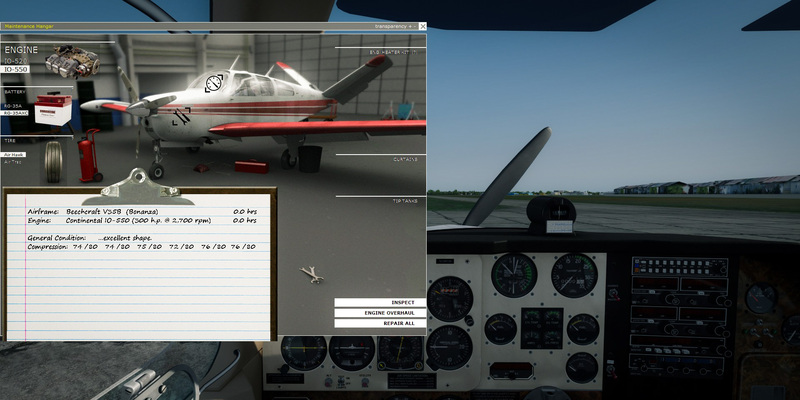 With deteriorating weather, I changed my flight plan to my second alternate airport – Szczecin (EPSC). Soon the weather cleared. 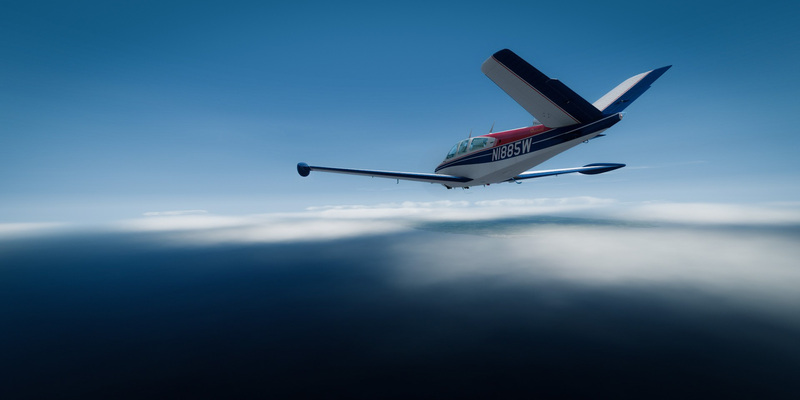 I crossed the coastline to fly west along it, but outside of the restricted military airspace, and what I saw was the beautiful dark blue sky north from my position. Was it possible (and safe) to get to Bornholm as I planned? More weather reports came in – dense fog still covered Bornholm, but there was no change. Another pilot departed Bornholm a moment earlier and reported that weather was above minimums (550 RVR) and that it looked ok if only I had fuel for a go around and diversion. I had plenty. 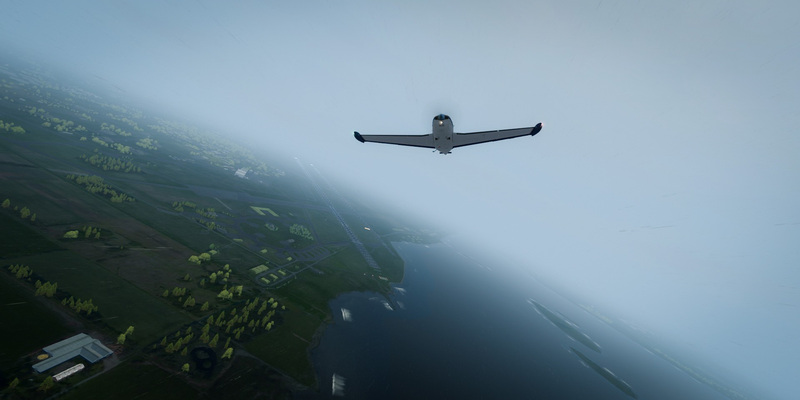 I flew towards Bornholm, climbing over thin stratus clouds that developed soon after I turned north. It was a pleasant trip, with smooth air and spotless white clouds passing below. Sometimes I could even see blue waves below. It cleared just before I reached the Danish island. And then I noticed the fog. I had to descend right into the whiteout below. ILS approach was uneventful. At 650 feet I could see approach lights and the runway appeared a little later. The weather was bad, but not as dreadful as a day before. On departure, I ascended to six thousand feet before I could see the sky above the clouds. I took a safe route over Sweden, which reduced the time I spent over the open sea. This is one of these pleasant flights where nothing happens. I flew above clouds or between two layers. I changed radio frequencies, adjusted CRS bug and easily got from Bornholm to Aalborg. This time the weather was nice on arrival. Clouds cleared before I descended for ILS approach so I switched to visual and landed straight in choosing the narrow secondary runway – a typical feature of all Danish military airports (Aalborg is a joint civilian-military airport). Another cloudy day for my departure. It was raining in Aalborg, but there was nothing in the weather that would prevent me from flying. I was a little anxious about icing but decided to go. Icing forecast for the route was favorable. I expected a similar departure as in Bornholm, and I was mistaken. Clouds topped at 10,000 ft and I had to alter my flight plan to go higher. Flying at 11,000 I recalled the rules for oxygen I lacked. I should use oxygen when flying above ten thousand for over 30 minutes. Glancing on my flight plan I adjusted my descend deciding it is something close to 30 minutes at 11,000. Still, safer here for 45 minutes than just a 1000 ft lower covered in clouds. That was my reasoning. Even at 11,000, I had to cross several banks of clouds. With tops at fifteen thousand and higher, there was no way I can go over those. 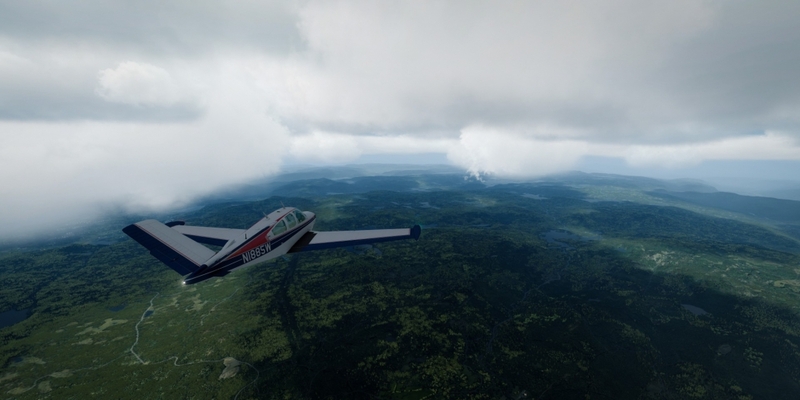 The situation improved on my descent to Notodden. I like this small airport and decided to pay a short visit. Notodden – Sogndal leg made me nervous. Charts where clear – 8000 ft was above the minimum safe altitude but I did not feel safe at all with rocky ridges passing not that far below my plane. And I had no means of confirming my position while doing dead reckoning. Sogndal VOR is located at the airport. Surrounding mountains limit the reception at low altitudes. I ultimately received its signal and turned for the airport and ILS approach. With the airport visible at 9-mile final I made a high-speed approach. 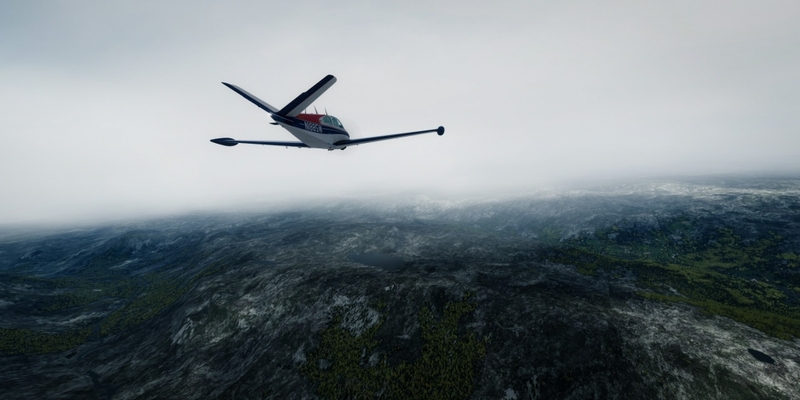 It was safe – there is a nice long runway in Sogndal, but I will fly slower next time. The next flight will take me across the North Sea to Sumburgh (EGPB). From there to Iceland – first to Hofn and then to Reykjavik or Isafjordur.